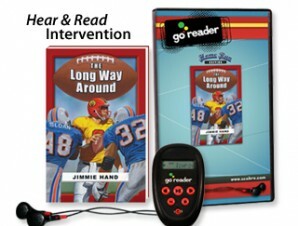 GoReader™ audio players available for EVERY Scobre Educational title! The Hear & Read™ concept started with Scobre titles, but it doesn't end here. Check out BookBuddyAudio.com for over 1000 titles paired with GoReader™ support! 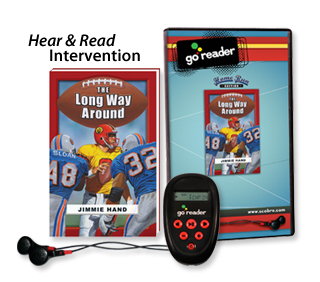 A research-based approach to reading intervention, Hear & Read™ Intervention with Scobre Educational pairs print content with dynamic audio, using the accessible, enabling technology of the GoReader™. Hear & Read™ helps students develop phonemic awareness and fluency by synchronizing the image of a word with the sound of that word – and ultimately, the meaning of that word. 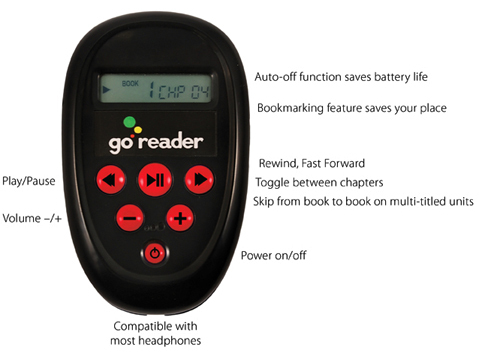 The GoReader™ is a portable reading-aid innovation: an MP3 audiobook player intended to scaffold the learning process for striving readers as they participate in reading programs and literacy-building activities in their classrooms. Simple, affordable, and ready-to-use the moment it arrives at your school. Allows individualized instruction, despite overcrowded classrooms. Self-driven support, through simple technology, scaffolds instruction while building confidence. Concept: Hear & Read™ – listening to audio while reading the companion book. LET STUDENTS SOAR! Don’t limit them based on current assessments — the GoReader™ encourages struggling readers to access the content they’re interested in, even if it’s above their reading level. Check out the Dream Series and Future Stars Series to hear more!